Its not a lot of miles, but if you are going to do online searches anyways its a good way to keep your accounts alive if you are no longer actively using them. 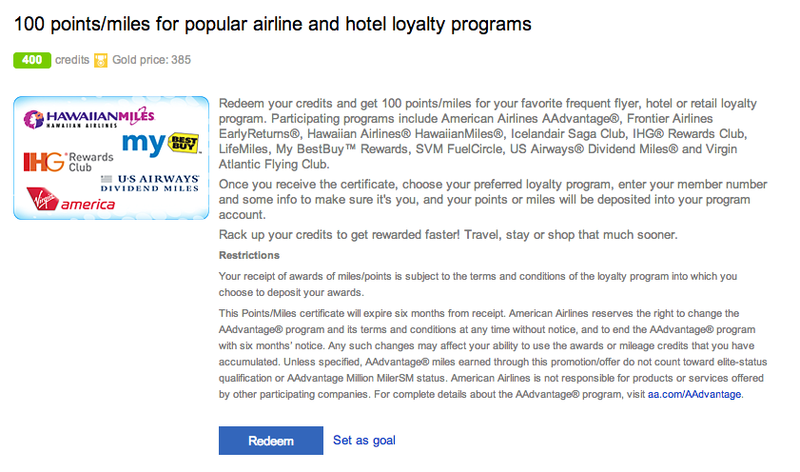 Participating programs: American Airlines AAdvantage®, Frontier Airlines EarlyReturns®, Hawaiian Airlines® HawaiianMiles®, Icelandair Saga Club, IHG® Rewards Club, LifeMiles, My BestBuy™ Rewards, SVM FuelCircle, US Airways® Dividend Miles® and Virgin Atlantic Flying Club. I am personally excited that I can keep my few Hawaiian miles alive from the one flight I took years and years ago. Also a good thing if you just need a few more miles to get to an award. Bing also has promotions to earn 10-20 points on some searches. ← Vietnam Airlines International Deals for $18 USD!